Health Costs > How Much Does a Brain MRI Cost? How Much Does a Brain MRI Cost? 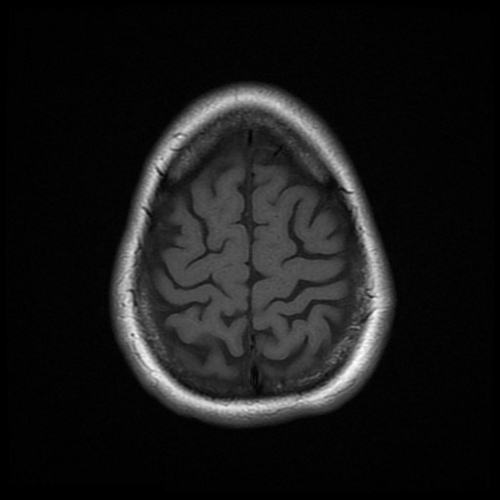 A brain MRI uses magnetic signals in order to create images of what is going on inside a patient’s brain. Aside from studying the brain, an MRI is also used to study the muscles, bones, ligaments, tissues, and nerves inside the body. A brain MRI will often be ordered by a doctor if you’re suffering from seizures, headaches, swelling and/or dizziness. It can also be used to monitor certain illnesses such as multiple sclerosis or brain cancer. On average, a brain MRI, with or without contrast, is going to cost anywhere from $1,500 to as much as $3,800 without any health insurance. The cost of brain MRI will depend on the hospital, the geographical location, the number of scans, where it’s performed, if insurance is involved and inclusions with the bill. Based on the national brain MRI procedure pricing summary posted on New Choice Health, the national average cost of brain MRI, without health insurance, can range anywhere from $1,650 in Andrews, Texas, to $7,300 in Ketchikan, Arkansas. The national average price, however, is around $2,550. If you have health insurance, this process will more than likely be covered as long as it is ordered by a doctor and is medically necessary. Be sure to talk to your health insurance provider to better understand the costs you’re responsible for, and always ask for the costs ahead of time. For most, you will be responsible for your co-pay and deductible. Those who have health insurance often find themselves paying close to $600 at a local freestanding center to as much as $2,000 at a local hospital. Avino.com, for instance, says a brain MRI costs $1,767 at a hospital or $787 at a freestanding imaging center if you had health insurance. The MRI bill should include the radiologist fee, the contrast dyes if you needed it and the entire cost of the procedure. When you receive your bill, you should receive an itemized bill, but in some cases, especially if you use a free-standing center, all of the inclusions will be included in one bill. An MRI can be performed either at a hospital or a free-standing facility. An MRI at a hospital will often be within the actual hospital building or a professional building on the campus, whereas a freestanding center won’t be affiliated with any hospital and will operate during the weekdays only. During the procedure, you will have to lie flat on a table. This table will then be pushed through a tunnel that is surrounded by a magnet, and these radio waves, as stated above, will then broadcast a 3D image. The procedure should last no more than 60 minutes. A brain MRI can detect brain tumors of any size, signs of a stroke, multiple sclerosis, the cause of seizures, and the progression of dementia. If the skull is studied, the MRI can show fractures and sinus problems. A cancellation fee can range anywhere from $100 to $750 if you cancel 24 to 48 hours before. For patients that can be claustrophobic, a doctor may prescribe a mild sedative, such as Diprivan, which can cost an additional $150 to $350. A contrast solution could be necessary to enhance the scan, and these solutions can cost an additional $100 to $250. Before heading to an MRI, prepare yourself by wearing loose and comfortable clothing. It is also best to keep all loose jewelry at home since you will have to take it off for the test. You will also have to remove things such as belts or anything else metal that could interfere with the magnets. A hospital will almost always be more than a free-standing imaging center. Call a few imaging centers in your area to see what they charge. A free-standing center will always be cheaper due to a hospital’s high overhead costs. As long as this MRI isn’t an emergency, an imaging center will be the cheapest route to consider. Some centers may offer a cheaper rate if you were to pay cash instead of using your insurance company. If you don’t have a health insurance policy, then it’s best to talk with the finance department to see if you can apply for financial assistance and/or setup a payment plan.